Settle in, relax and get cozy. Every room in our hotel is suite-inspired. With contemporary room dividers, our oversized units can be divided into separate livings spaces. Along with convenient amenities like coffeemakers, microwaves and fridges, guests can enjoy a touch of elegance with bathroom granite countertops, and a 42” TV. 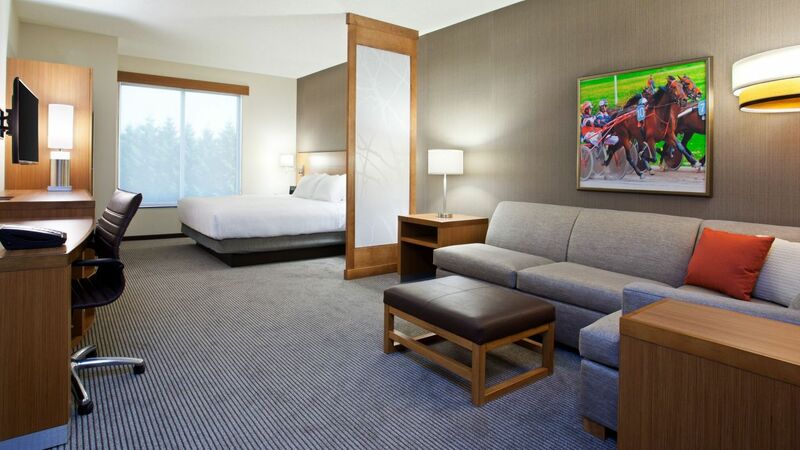 Enjoy even more room in this 670 sq ft suite featuring a separate bedroom and living area, including one king Hyatt Grand Bed™. 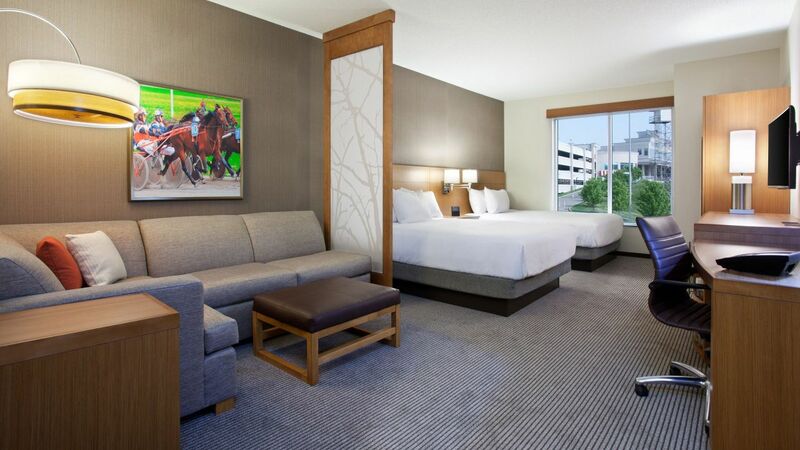 Enjoy our spacious 378 sq ft guest room with separate sleeping and living areas, including one king Hyatt Grand Bed™ and our Cozy Corner with sofa sleeper. 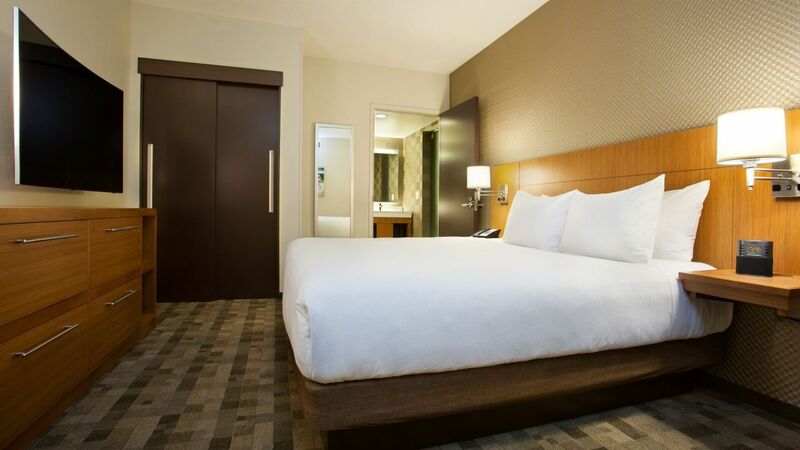 This ADA-compliant guestroom includes two queen-sized Hyatt Grand Beds®, accessible bathtub with hand rails, and numerous ADA-compliant amenities and features.